San Diego Comic Con 2018 – CBLDF Exclusives! This year Comic Book Legal Defense Fund has put together a great set of new rewards for supporters at San Diego Comic-Con to show the world they fight for free expression. Pick up these cool new exclusives at Booth #1918! 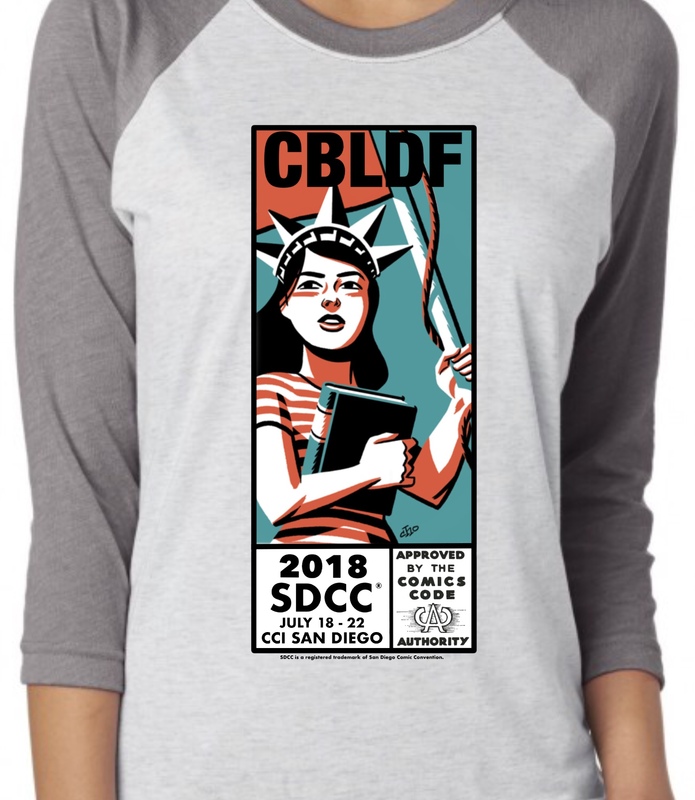 Make CBLDF’s booth your first stop this year at SDCC! Some of these rewards are just for San Diego and quantities are limited! 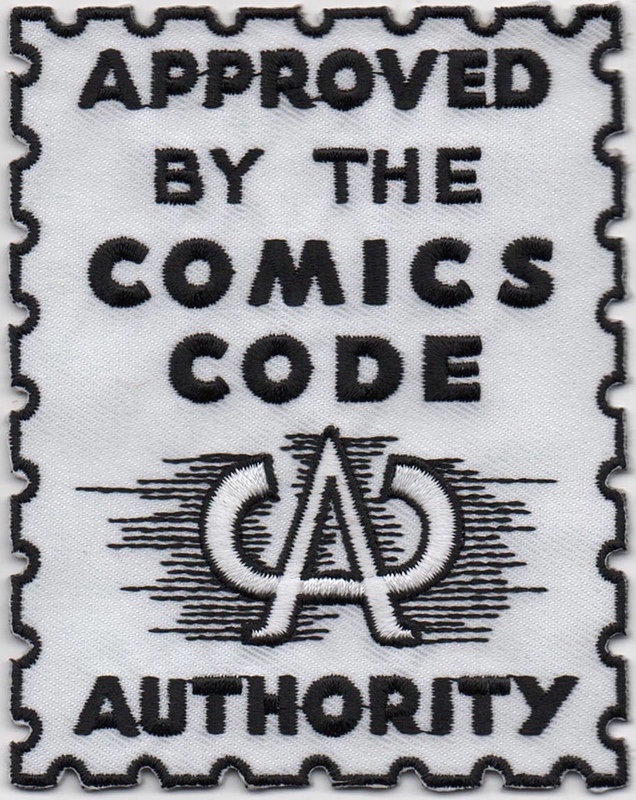 Comics Code Authority Seal Embroidered Patch: One of our more requested premiums! There’s no better legacy for the Comics Code Seal of Approval than protecting free expression. Grab yours at San Diego! 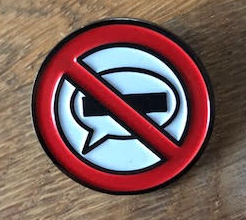 No Comics Censorship Enamel Pin: A brand new enamel pin from Comic Book Legal Defense Fund. Show the world you are against the censorship of comics with this iconic logo. 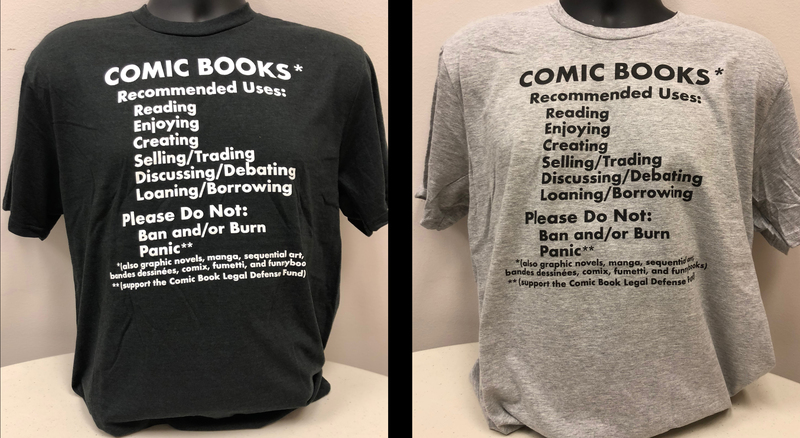 Comic Book Fact Sheet T-Shirt: The latest CBLDF design for 2018! Show the world what comic books are for, how to use them, and things to avoid! All the facts you need to explain comic art on one handy t-shirt. High quality, soft fabric, unisex sizing, available in black or heather grey. San Diego Comic Con 2018 Exclusive Shirt: A commemorative raglan sleeve jersey just for the 2018 Comic-Con! Art by Michael Cho! Don’t wait! Quantities are limited! 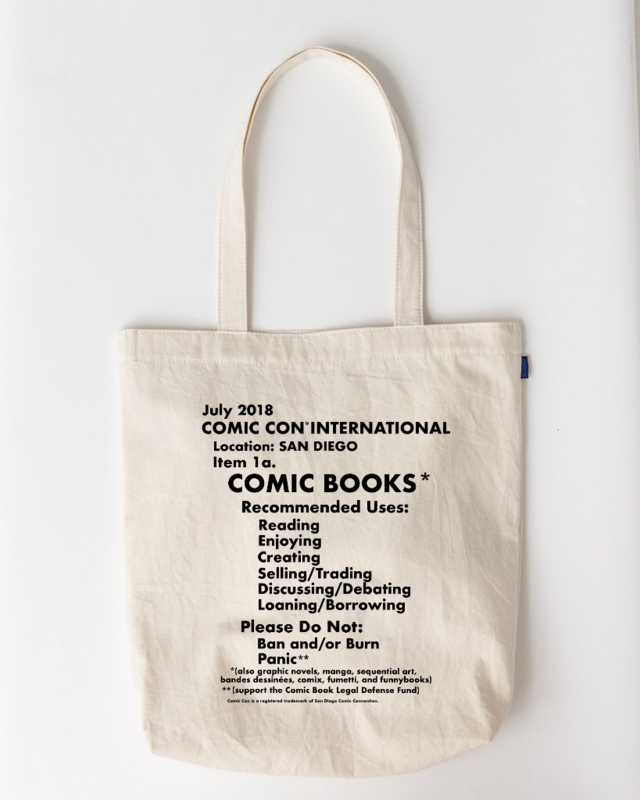 Comic Book Fact Sheet SDCC 2018 Exclusive Tote Bag: Where better to put a concise explanation of the many approved uses of comics (and a few things to avoid) than on a handy tote bag to carry your newest comic book buys! Only available at Comic-Con 2018!